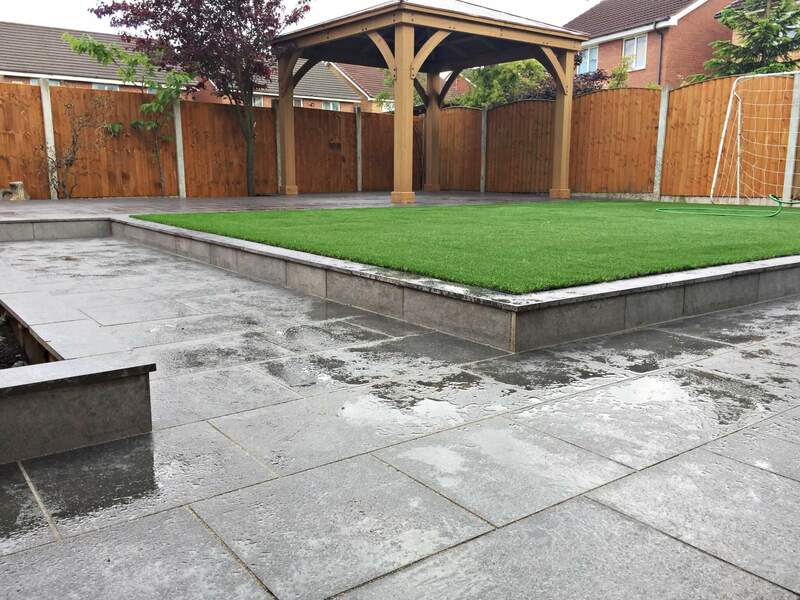 This project was to transform the whole rear garden into a low maintenance and modern landscape. 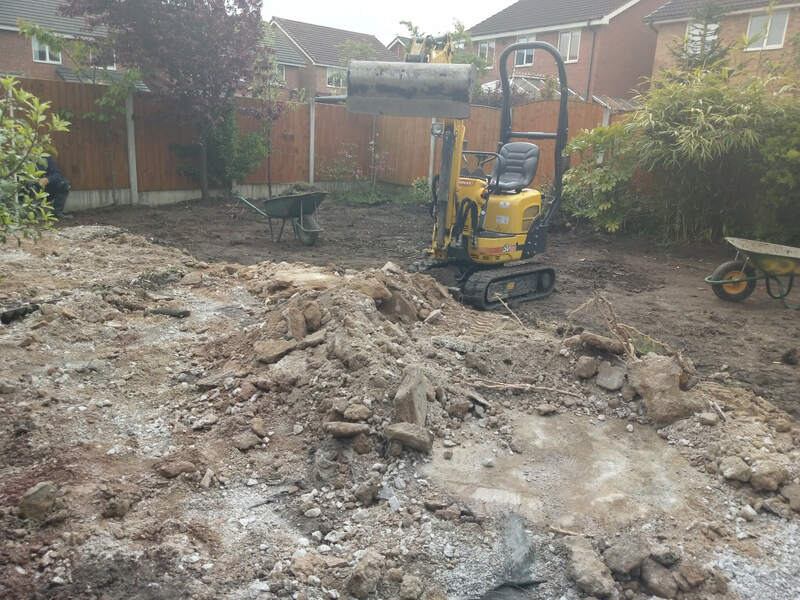 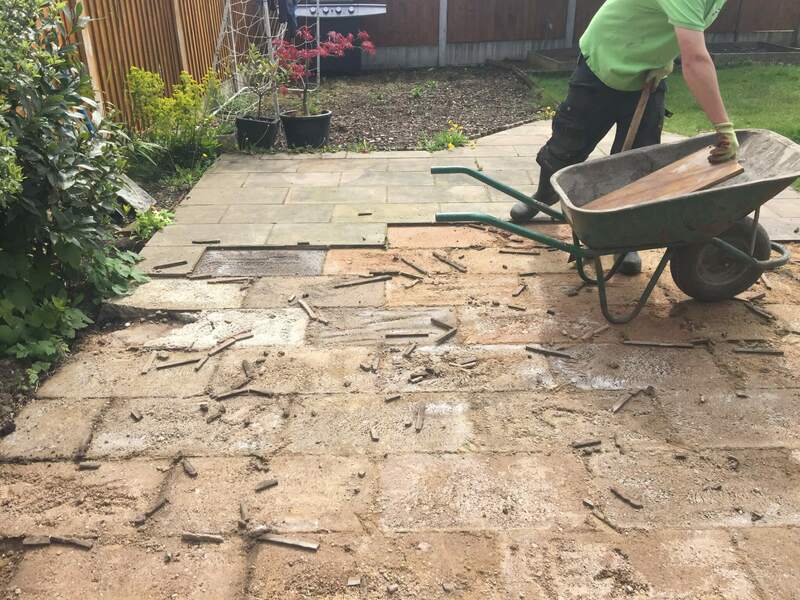 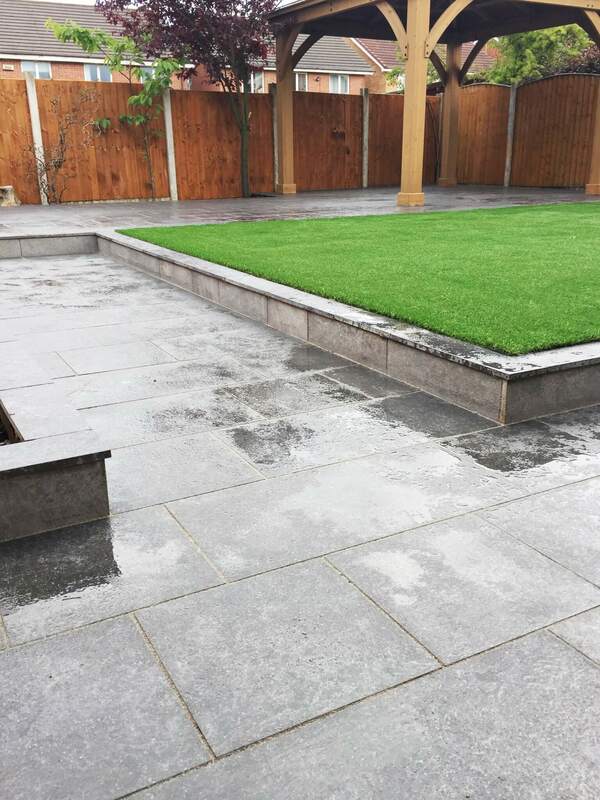 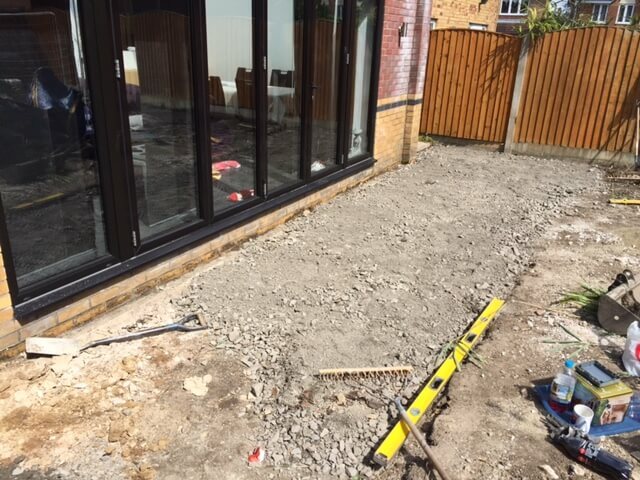 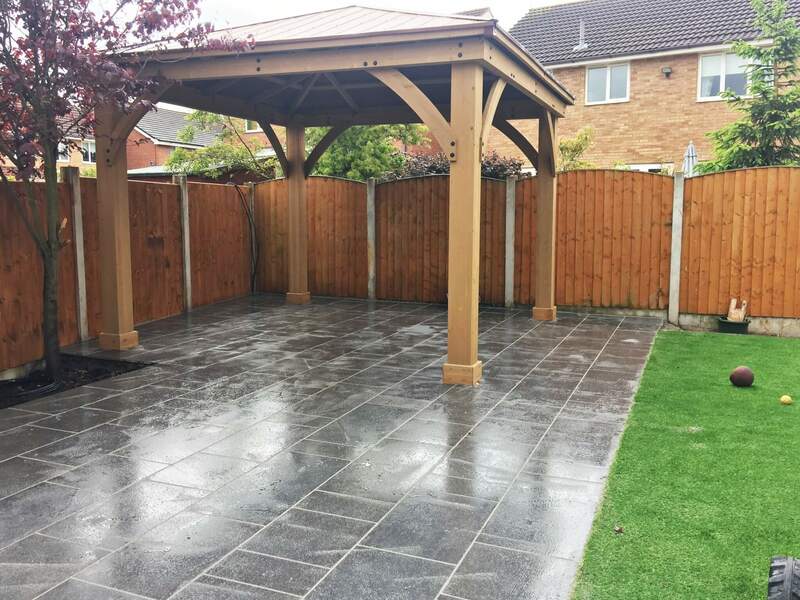 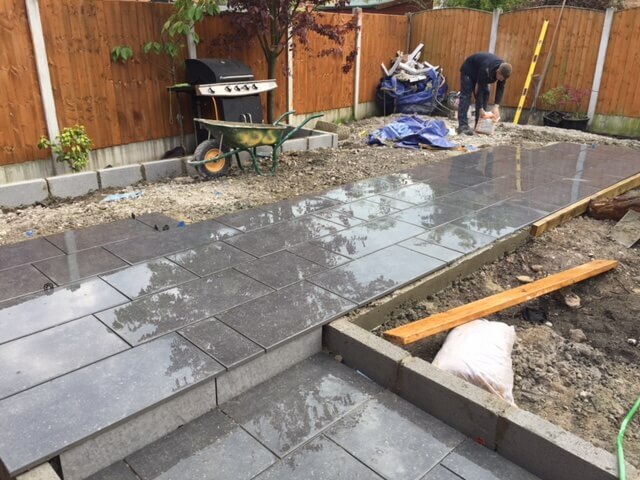 We started by removing all existing paving and excavating all patio areas to the required depth after filled this area with MOT grade 1 and compacted it to create sufficient foundations. 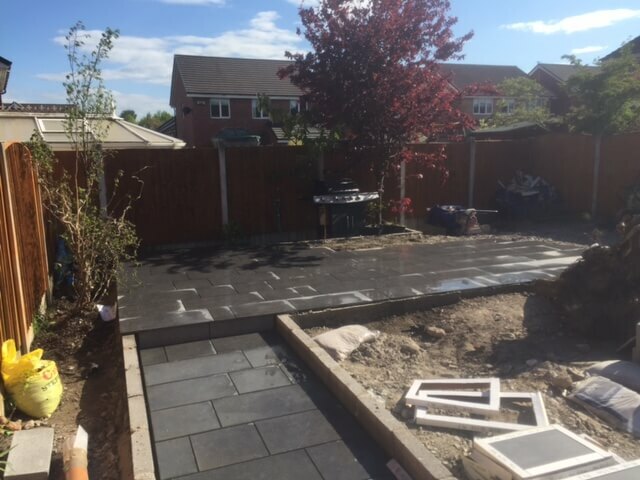 The next stage was to install Marshalls Symphony Vitrified paving. 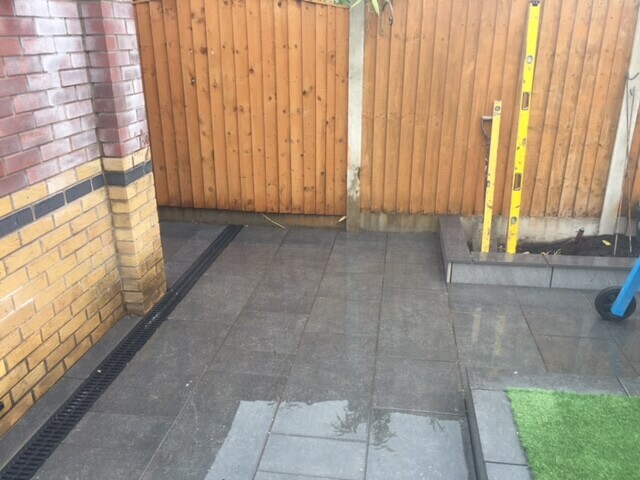 We also installed the Symphony Vitrified paving to create tile up stand and coping. 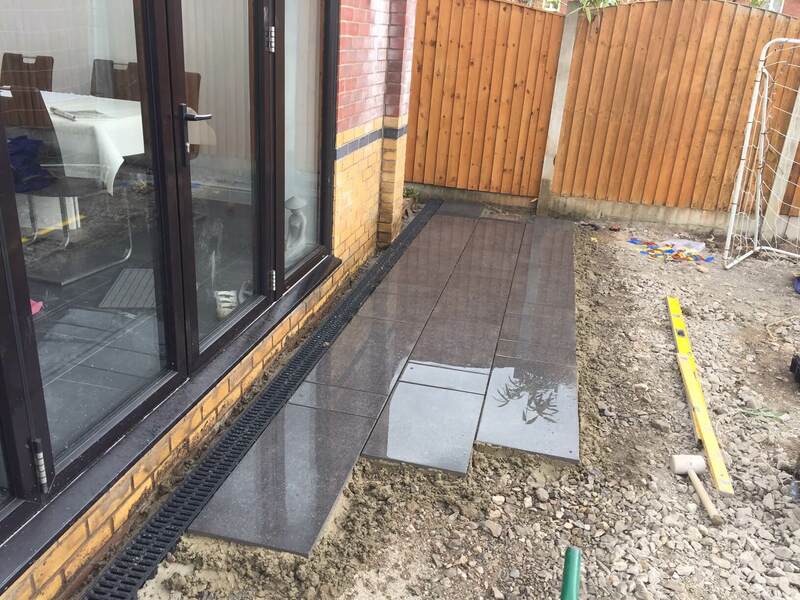 This patio project also included the installation of a linear drainage system to prevent any flooding. 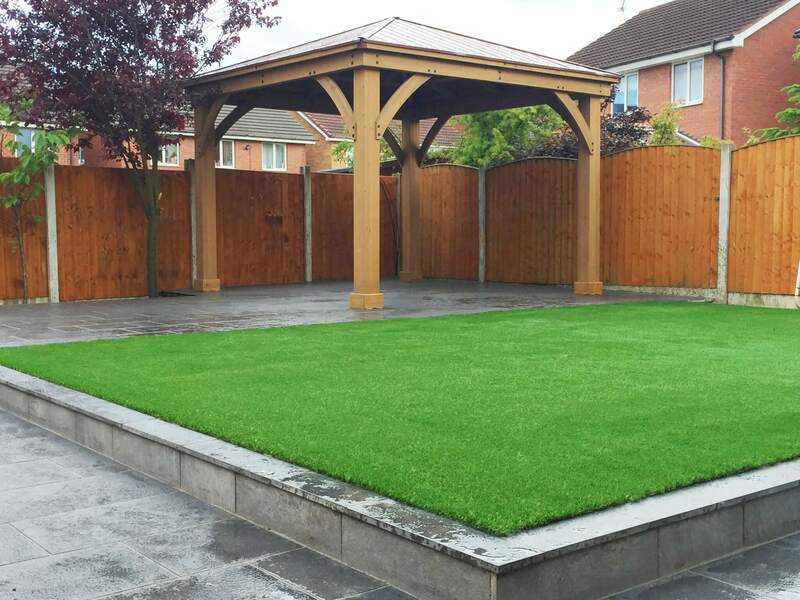 Finally, we installed artificial grass and a contemporary screening to existing fence around rear elevation fence. 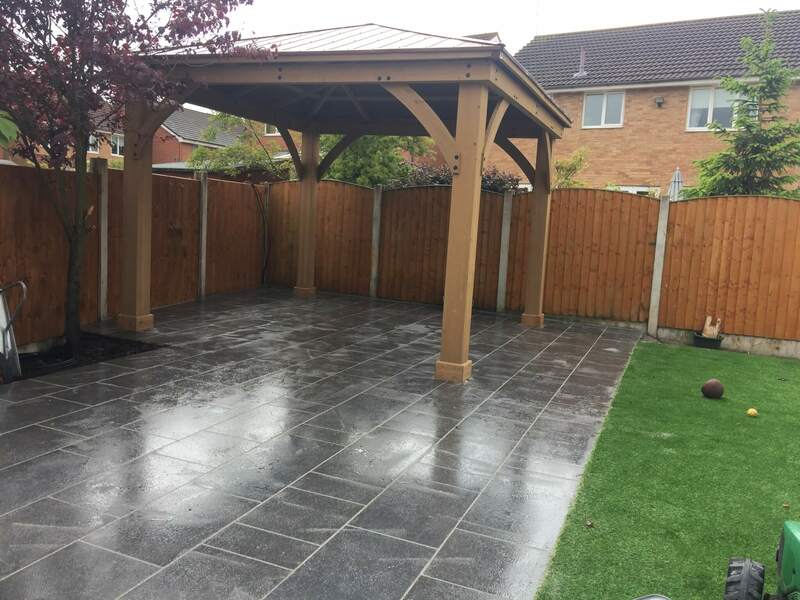 The design of this paving project is to create a contemporary garden including gazebo feature. 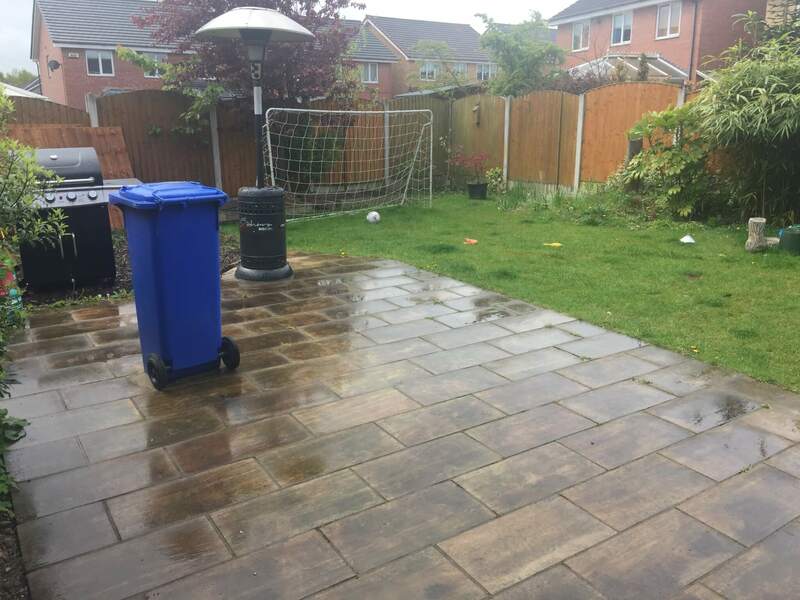 Many thanks to Abel Landscaping for a great job they did in transforming our drive and front garden. 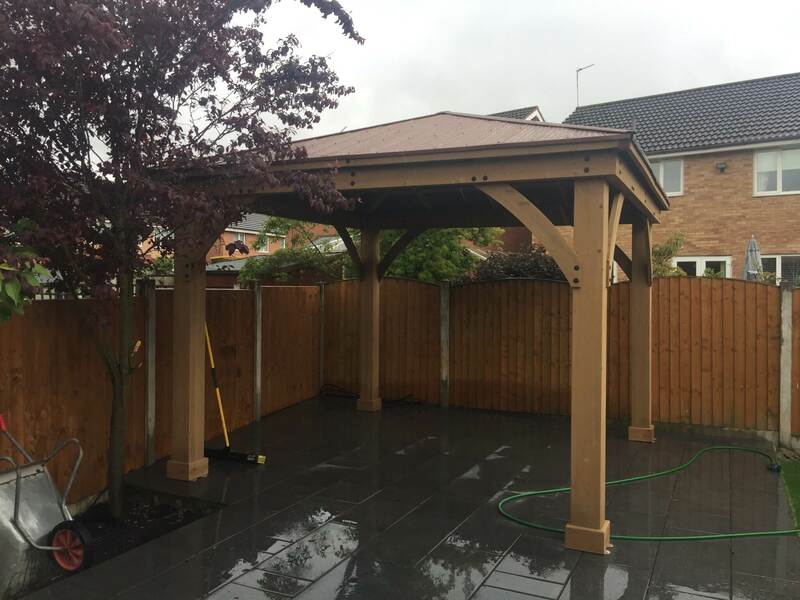 We are delighted with the quality and look of the finished job. 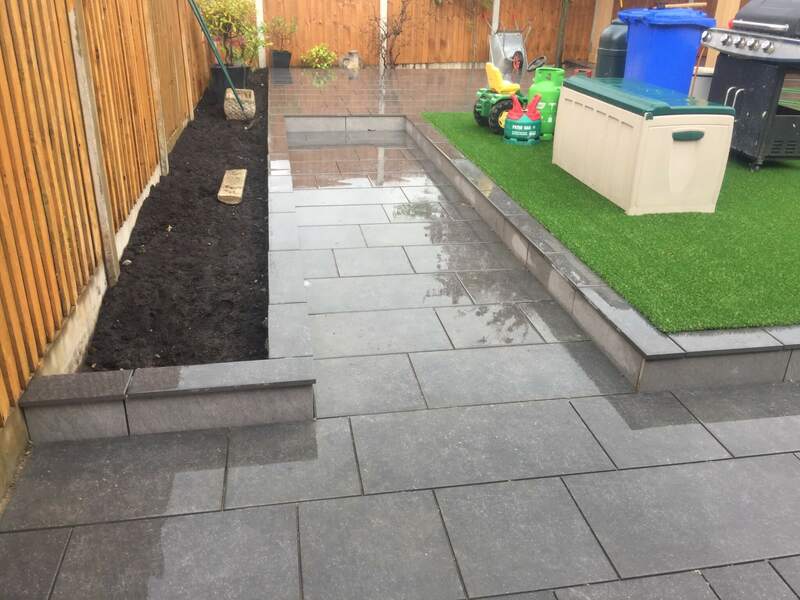 Very good service from a highly professional and efficient company. 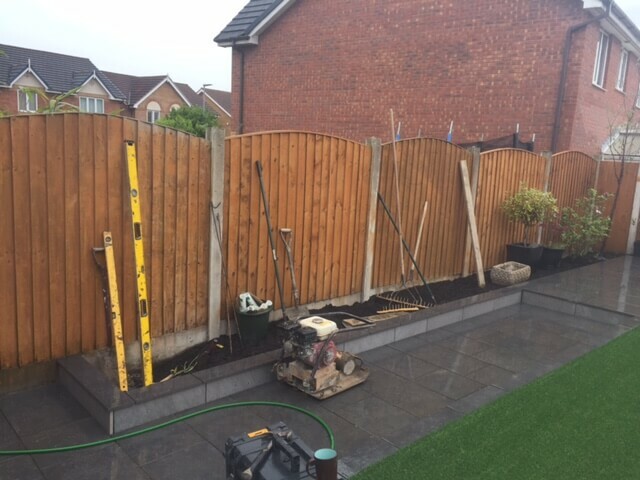 Helpful initial design ideas from Darren with options all priced for us to make the final choice. 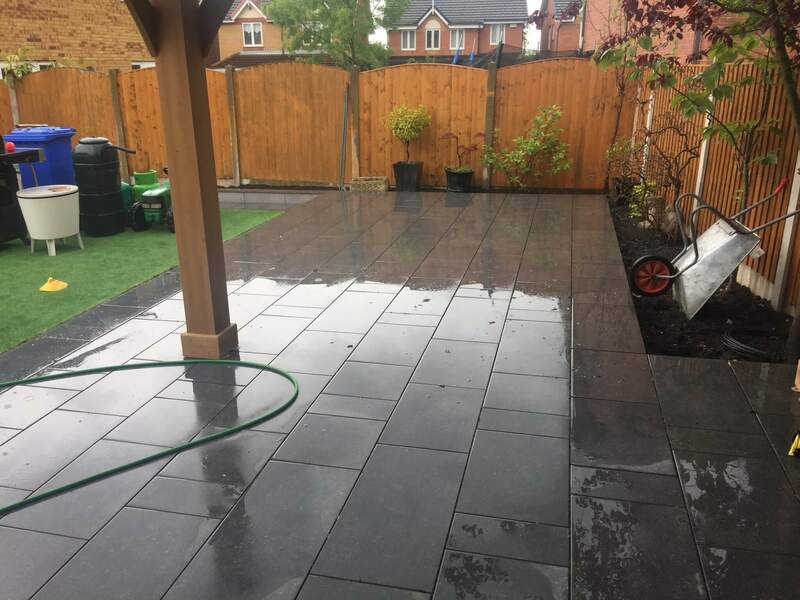 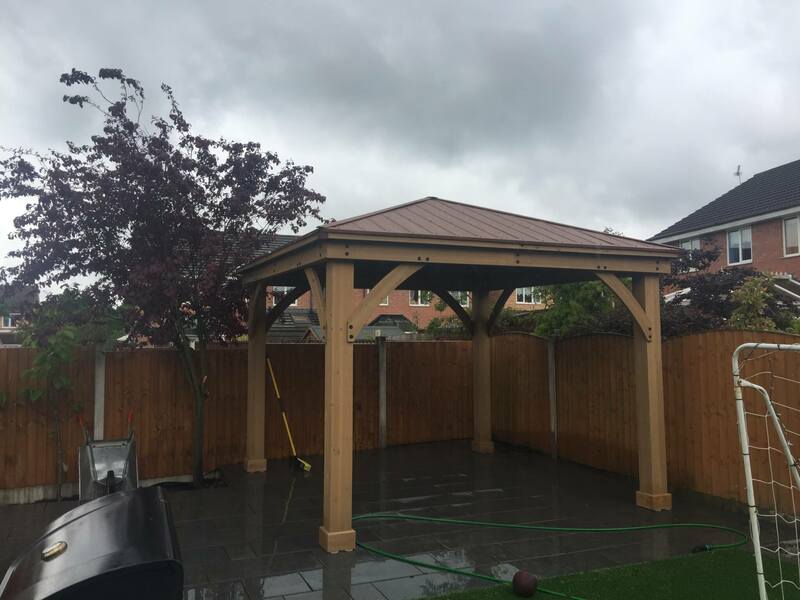 Work was stated very promptly and afterwards and the exceptionally hard -working, polite and friendly tradesmen who managed to complete the whole job in just five days .